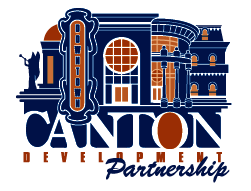 The Canton Development Partnership is a coalition of area development organizations and city government that share an interest in Downtown Canton’s continual improvement, revitalization, image, and quality of life for its citizens. We improve downtown aesthetics, hold year-round events, support local shoppers and growers through our farmers' market and work to grow downtown development. We are pleased to announce a partnership to better serve you and manufacturing in the region. The Canton Regional Chamber of Commerce and MAGNET (Manufacturing Advocacy and Growth Network) have established a dedicated office within the Chamber to bring expert resources closer to you. The Small Business Growth Network brings together the resources, organization, infrastructure and content to allow new and existing businesses and non-profit organizations to create, grow, and sustain a vibrant community in the Stark, Carroll, Tuscarawas, Holmes and Harrison county region.